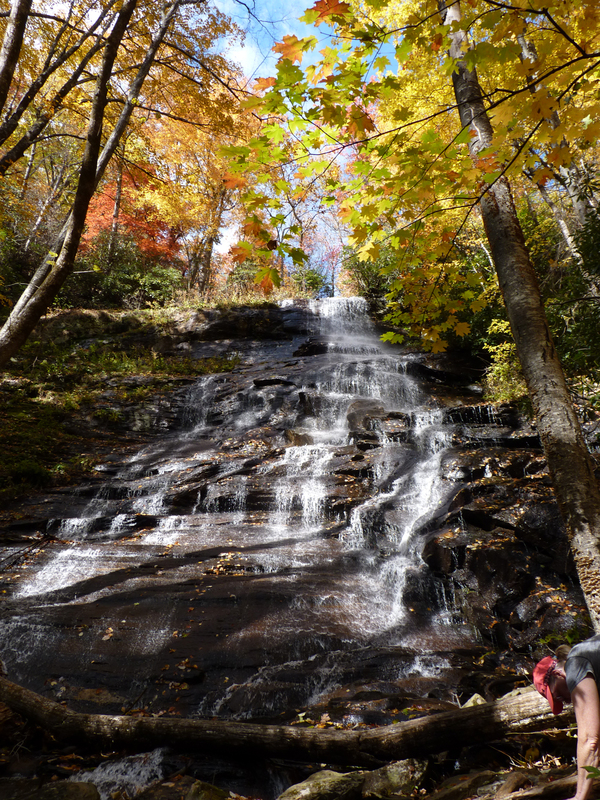 The trail to this 75-foot waterfall in Pisgah National Forest starts at FR475B at the junction with gated FR5043 (Seniard Ridge trail). There is a large Forest Service interpretive sign at the trail-head. Discovery Falls lies on a side trail on the right just before the first bridge. Back on the main trail, there are several more waterfalls on Seniard Ridge Trail (Log Hollow Falls & Logging Road Falls).